This concept was all about clean, modern, sophisticated tropical with a bold and sophisticated palette of white, black & green. The entire suite was letterpressed, with the main invite having two color runs. 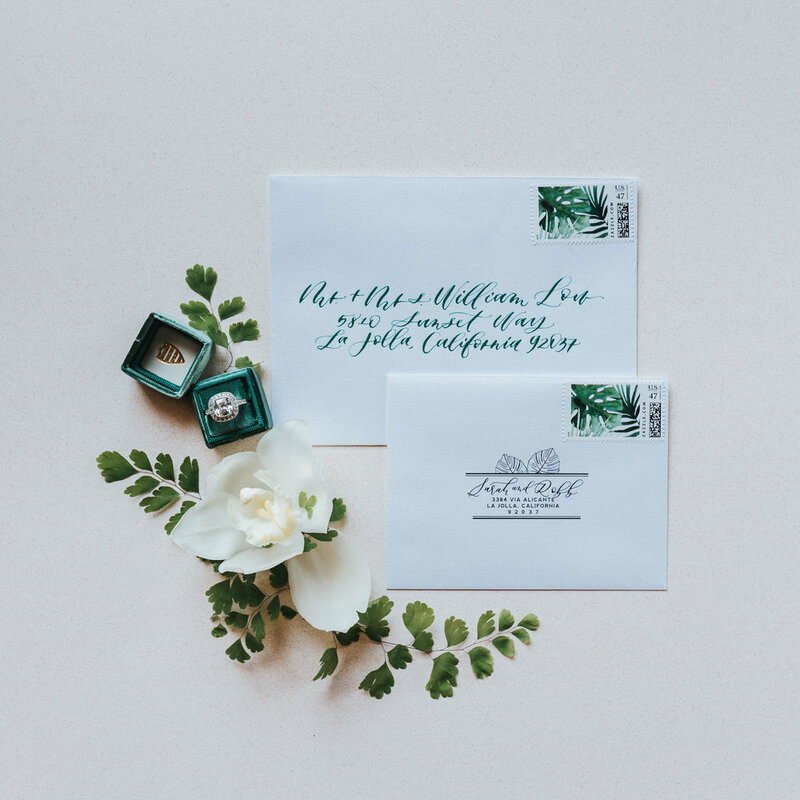 We designed a custom monogram that was also carried throughout all their day-of details.